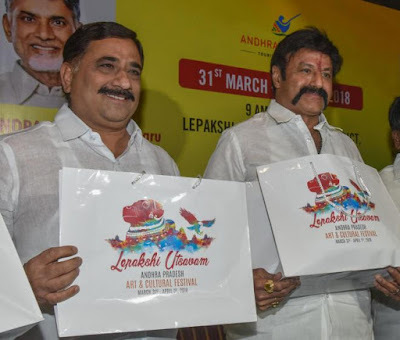 Lepakshi festivals of Anantapur district are celebrated with great success. Apart from Telugu states, a large number of people have come from Karnataka.The streets of Lepakshi sculpture were filled with those who came to see.Balakrishna participated in the cultural programs of the morning.The area was transformed by the children's dances and cinematography, with the mythical hypocrisy.The premises of the main venue are filled with the crowd.It is not exaggerated that the number of people who visited the Lepakshi is more than one lakh.MLA Nandamuri Balakrishna said that it will come to make a mark for the world heritage in keeping with the history of Lepakshi. Lepakshi has already taken proposals to the United Nations Cultural Center for recognition.